Parliamentary panel passed a resolution that they will not meet any officials till top executives of global team deposed before them. New Delhi: The CEO of Twitter and other top officials have been summoned by the Parliamentary panel on information technology to appear before it by February 15 over “safeguarding citizens’ rights” on social media. The head of the panel, BJP lawmaker Anurag Thakur, on Monday said Twitter has been given a 15-day deadline. On Monday, the parliamentary panel passed a resolution that they will not meet any Twitter officials till the top executives of the global team deposed before them. Earlier, the Twitter CEO and senior officials had refused to appear before the Committee citing “short notice” period. Twitter team including Twitter India representatives on Monday arrived at Parliament to appear before the Committee, which had called Twitter team through an official letter on February 1 to discuss issues concerning the use of social media platform. The letter sent to Twitter by the Parliamentary Committee stated: "It may be noted that the head of the organisation has to appear before the Committee." “He/she may be accompanied by another representative," the letter further said, as per the sources. 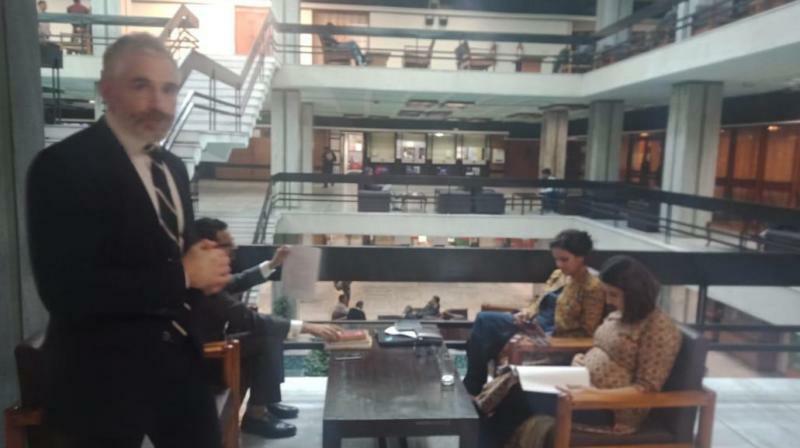 Representatives from Twitter India had reached the parliament annex to attend the panel's meeting but they were not called in. The Committee meeting was scheduled to be held on February 7 and was later postponed to February 11 to allow the Twitter CEO and senior officials more time to make themselves available, sources said. The BJP had warned Twitter of "repercussions" on Saturday, saying no agency has the right to disrespect institutions of the country.